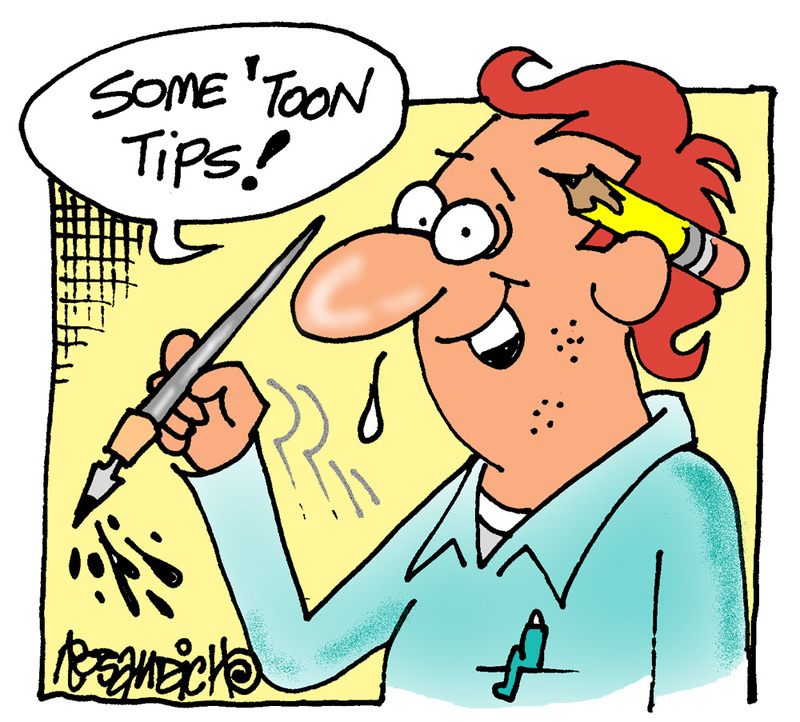 Cartooning tips can vary greatly. They’re not always in regards to cartoon drawing techniques. The one I’ll share here is for the gag cartoonist who wants to intensify his or her submission efforts to the magazine market. In the future, I’ll write about developing cartoon drawing styles and how to draw cartoon faces. But for now, this is basically in regards to mailing your work to magazine editors or newspapers. Hope you will find this helpful and interesting. 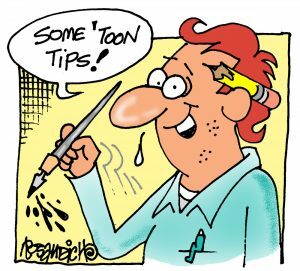 Cartooning tips like this one were learned from trial and error and communicating with established professionals over my years as a gag cartoonist. This tip pertains to preparing your cartoon submissions. There are still alot of magazines using cartoons. Let’s assume you have 10 different gag panel cartoons for the medical magazine field. You can get a subscription to Gebbies directory that lists hundreds of trade journals and regional magazines. Lets assume you pinpoint 20 separate medical magazines that you want to submit cartoons to. Of the 10 different cartoons you have, that you feel are ready for consideration by editors you want to submit to, make 20 photocopies of cartoon #a, then make 20 copies of cartoon #b and all the way through to cartoon #j. 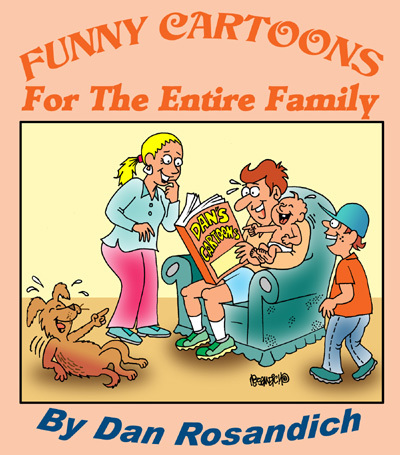 Now, there will be a total of 200 cartoons that you need to collate into separate groups of 10 cartoons per group. Of course, they will all be different from cartoon #a through to cartoon #j in each “batch” of cartoons. You can now add your contact information along with name and business mailing address onto the back of each cartoon, preferably with a rubber stamp to save you time. Address every envelope to each of the 20 chosen magazines you’ve pinpointed and be certain to include a SASE in each envelope to get your cartoons returned. Address each separate envelope and enter all of these submissions into your chosen tracking system for cartoon submissions. I keep my tacking system set up in MS Word with the dates submitted and when each one comes back, I open Word and delete that particular submission. Overall this method allows you to cover more magazines in a shorter period of time, while you offer your work to cartoon editors. Just stipulate in a standard cover letter that you are allowing ‘one-time publishing rights’ only, for any specific cartoon that is offered. This way, it’s understood in advance, that editors are basically purchasing your cartoon for one time use in their publication. This allows you more flexibility to offer that same cartoon to another editor or consultant or newspaper publisher or book publisher. Emphasizing and realizing your cartoon copyrights and knowing them is essential in this age of digital technology and print.